You finally drove off the rental car company lot and want to take a scenic drive through Australia. But the question is – where should you go? There are plenty of places to visit like the Great Barrier Reef or even the beautiful harbor of Sydney. Also, Brisbane is a great place where tourists hang out if you want to socialize with other people like yourself. When you do go on your scenic drive, it is important to stop at each place and walk around. We aren’t just driving by because that wouldn’t be any fun. You want to get a whiff of the environment by smelling the nature or city that surrounds you. Also, in order to get a complete visual, walking around is something you’ll want to do. 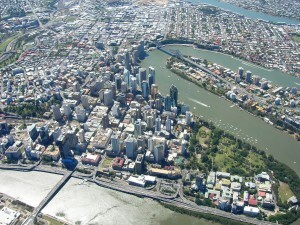 You will find many great spots like the Gold Coast for cheap car rental as you travel around. Instead of staying in one spot on the remainder of your trip, why don’t you take a little vacation in your own vacation? For example, you can even drive across the country if you wish. Australia is small and you can cover a few areas but make sure you have plenty of time to get back. Here are some of our favorite places to drive to in Australia. The Great Barrier Reef is located directly on Queensland’s coast. Here you will be able to look at the beautiful Coral Sea and the reason why they gave the sea this name is because of the Coral Reel. There are over 900 islands in the area and all of them are over a stretch of 2,600 kilometers which is huge! Did you know that it’s big enough to be seen from space? 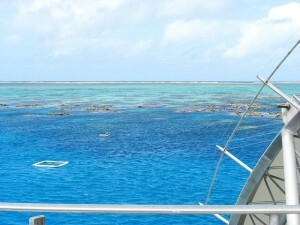 Currently, the reef is a World Heritage Site and you can come whenever you like. They have tons of aquatic life such as whales, snakes, stingrays, dolphins, and even turtles. You might also come face to face with a crocodile so watch your step! This reef is calculate to be six to eight thousands years old. 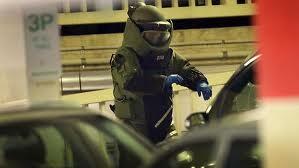 The Sydney Harbor is a great choice if you are driving over Australia during New Years. This was originally the first place during the very 1st European settlement. Here is where they have the great Sydney Opera House and you can even venture inside. You can also take your family over the Sydney Harbor bridge, getting a good view of the city. 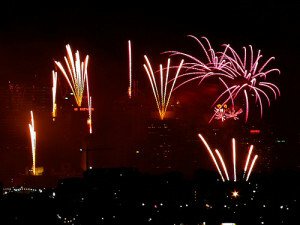 Whenever new Years comes around, they celebrate with thousands of fireworks in the area. This place seems to come alive during this holiday. In Melbourne, they have over 100 different attractions so you will find much to do here with the whole family. With the beautiful Botanic Gardens, you can walk through a field of different plants and flowers. Enjoy the garden scene as you talk with your family. You won’t even know you are in the middle of the city when walking through this area. This is a great area if you are just looking to relax and wind down. This should be your last stop for the end of the day because it will leave you feeling less stressed. Nature usually has this effect on all of us. You recently picked up your rental car after a long trip on the plane and now you feel exhausted. Getting to the hotel is only half the battle. You and your family need to rest once everyone arrives at their destination, as there is a big trip coming up tomorrow. You plan on driving all the way to Surfer’s Paradise where the sun always shines and the waves are perfect for surfing. This little trip will take you two hours and thirty minutes to get there so keeping calm in the car is important. It’s not about keeping calm either. The vehicle you rented may become hot because of the weather conditions and your family will get bored easily if they don’t have anything to entertain them. This is why it’s so important to pack everything you need and this way the family will have things like a CD player, towels, water, coloring books, and so on. 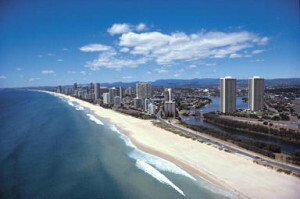 Low cost car hire in Surfers Paradise is a great way to explore all the beaches. With one teenager and one five year old, you might feel like taking care of them is a constant battle on car trips but there are a few things you can do to help. The first thing you need to know is that everyone can become bored during the trip. Because of this, you’ll need to come up with some creative car games. You can sing-a-long with your family or even play “Sweet and sour”. This is a game where you wave at other drivers and if they wave back, you say “sweet”. If they don’t, they are considered sour. Also, you can bring a mini TV to install in the back where your kids can watch whatever movies they like. 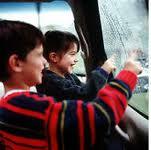 This is a great way to keep them distracted and most of the time they won’t complain about the long drive ahead. Packing everything you need is very important. The car can become hot and your family might begin to sweat because of the extreme temperatures in Australia. Bring some clean extra shirts and water bottles. If someone is too sweaty, they can change into a fresh shirt so they are more comfortable. The water bottles should be ice cold and this way they don’t get warm in the car after an hour. You should also bring other things like snacks and an ice chest to put food in. Other things may include toys for the kids, a few magazines, etc. Some individuals can easily become sick during a car ride, especially if they are known to have something called motion sickness. For those who do, it is advised not to look out your window. You shouldn’t drive if you have motion sickness either. Let someone else do the driving like your spouse. For the children, always bring their medication like pills or inhalers. Be sure that they have at least two refills if you are going to be in the area for 2-3 weeks. Otherwise, one is just fine but it is better to bring two, just in case one is lost. If you have just rented a car in Surfers Paradise to use for long trips, Surfers Paradise car rental being extremely popular since it is a world famous tourist destination, you may want to cure your boredom or have some games for the road. This way you won’t fall asleep while traveling and will keep things “fun” for the whole family. This is a great way to grow closer to your family and build memories. It is important that as a designated driver, you pay attention to the wheel. Singing games are fun but don’t ever participate in games that have you looking outside the window, peering at other cars, or otherwise taking your eyes off the road. You always want to be looking at the road ahead of you because if you don’t, there could be a huge accident. Do you have a large family? If there are kids in the family, there is a good chance that they’ll complain during the trip. They will ask questions like “Are we there yet”, every 5 minutes. In a kid’s mind, a trip can last forever because they don’t know how to keep themselves occupied well enough. However, if you give them some toys or create fun car games, this will make the time speed up for them and they will forget about the two or three hour drive.